Free CD and DVD offer for spending £25 or £40 respectively. Go to CDs and DVDs section to add to basket. World class pipe sounds you can play anywhere, anytime! The Blair Digital Chanter lets you play the sound of world-class Highland Bagpipe, Scottish Smallpipe or Practice Chanter, with actual finger holes anywhere, anytime. Genuine bagpipes with a rich full tone that can be used for performance, practice or recording. Turn everyday piping into an extraordinary playing experience. The Blair Digital Chanter lets you play world-class bagpipe sounds on an instrument with real holes and stunning OLED screen. The real-life bagpipe sounds are amazing, the design of chanter is authentic and it’s a powerful instrument for any piping environment. It’s truly an extraordinary playing experience. Introducing Twist-Trap Practice Pipes, a set of mouth-blown smallpipes incorporating a long practice chanter and two drones. The set is ready to play including reeds, synthetic pipe bag, cord cover and carry case. They produce a softer more mellow tone in comparison to the Highland Bagpipes and pitch in the key of A (440Hz), a general tuning standard for many musical instruments. New Books! Well August seen the launch of a number of new books. A new, original designed case that shows everyone you truly value your pipes. Crozier Carbon Drone reeds that were first manufactured in 2005.
flat carbon fibre tongue to vibrate. The Crozier V2 Drone Reeds have a cane like tonal quality, are higher in pitch and also feature a double O ring bridle and tongue support. The original Crozier Carbon Drone Reeds are designed for pipers using a canister system in the pipe bag, the V2 drone reeds have been designed to suit both canister and traditional pipe bag set up. The reeds are very easy to set up using the airtight tuning plug and bridle for tonal alterations and have been designed for pipers ranging from beginners to the most advanced pipers. The V2 reeds are equal to their predecessor in operation with a curved body which allows the flat carbon fibre tongue to vibrate. the V2 drone reeds have been designed to suit both canister and traditional pipe bag set up. 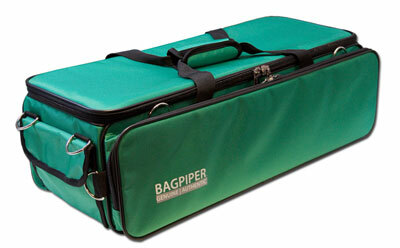 have been designed for pipers ranging from beginners to the most advanced pipers. This chanter gives you the tuning range you need without touching the reed in the reed seat; it is an amazing piece of technology. With its movable reed seat it can be flattened or sharpened without removing the chanter from the stock. McCallum Mark III chanter body – brilliant projection and sound. Pitch range – 478-484Hz (B flat tuner). Please Note: The tuning dial on production models is black. New for 2014 from R.G. Hardie Precision Made Acetal Bagpipes. Cost effective, easy to maintain and designed to last the test of time. Made to the same internal bore specification as the blackwood bagpipes to produce a full, rich resonant sound. The College of Piping’s famous green tutor. More than 385,000 copies sold to date. The only way to start a piping career. Join the thousands of other pipers worldwide who have learned the College way. New tutors come and go but for fifty years the College Tutor One has stood the test of time. Tutor One now comes complete with a CDROM at no extra charge. With a click of the mouse you can not only hear how your first pipng movements should sound but actually see them being played. The CDROM also contains worksheets to help you with your music theory and PDQB syllabi for Levels One and Two. Microsoft Media player is required for the media files. Audio can also be played on a normal CD player.